Look in the mirror. Do you see sleepy-looking eyes? Well, if that is the case, it might be that your upper eyelids have sagged a little, and they now cover your pupil. Sagging eyelids can sometimes be a trivial problem, but it can also be a sign of a more serious condition. Sleepy-looking eyes are medically known as ptosis, a fancy way of telling “drooping eyes”. These occur due to trauma, age, or medical disorders. In some cases, sagging eyelids come and go, but in others, the condition is permanent. You can notice it as early as birth, or you can develop it later in life. 1 Who can get sagging eyes? 2 What are the symptoms of sagging eyes? Who can get sagging eyes? Causes for dropping (sagging) eyes range from natural causes to more serious conditions. Your doctor can easily help you identify the problem. As for who can get it, it is simple, anyone can get droopy eyelids. There is no difference between men and women, or between ethnicities for that matter. The most common cause of ptosis is the natural aging process. The levator muscle is the one responsible for lifting the eyelid. As we grow older, this muscle can stretch, and the result is your eyelid will fall. In some cases, the exact cause is unknown. And sometimes, the cause is trauma or neurological cause. With that in mind, there are risk factors in terms of medical conditions and serious conditions that can increase the risk of getting sagging eyelids. When your eyelids drop, the cause might be nerve injury or temporary stye. Stroke, brain tumor, or cancer are more serious medical conditions that can result in sagging eyes. Today, however, we will talk about how to get rid of sagging eyes when they are caused by aging. What are the symptoms of sagging eyes? The symptoms are quite visible. And they are pronounced. 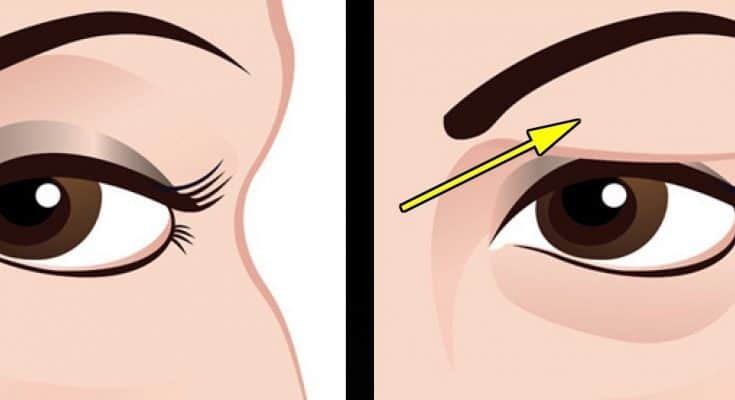 The main symptom is one or both of your upper eyelids will sag. In some cases, the sagging can affect your vision, and harm your daily activities. In addition, you might experience dry or watery eyes, and your face looking weary or tired. The main affected area is the one around your eyes, where you might experience aching. So, with that in mind, what are some natural remedies for sagging eyelids? Chamomile tea is one of the most common remedies for sagging eyes. Chamomile has anti-inflammatory properties that will help soothe your skin around the eyes, and treat the sagging eyelids. 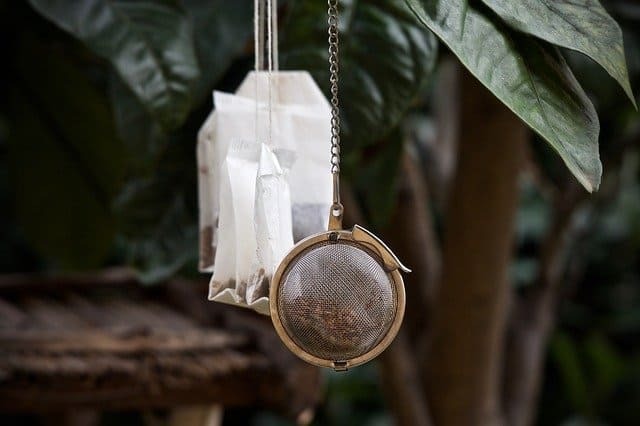 Brew yourself some chamomile tea, let the two teabags cool down, and then place them on your eyes. Let the chamomile tea bags stay on your eyes for 10 to 20 minutes. If you want some extra cooling effect, put the tea bags in the fridge before using. 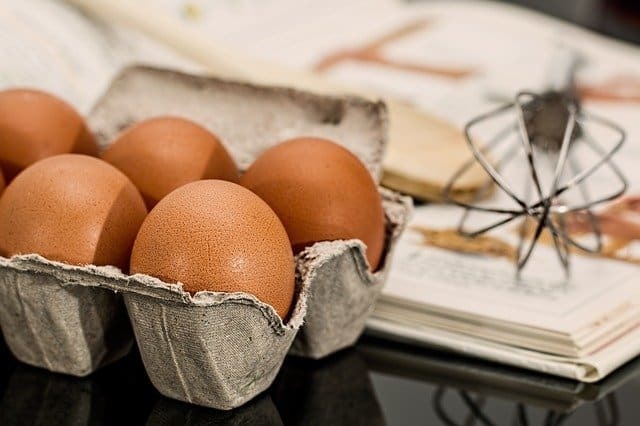 We all know that eggs are a rich source of protein. In terms of helping sagging eyelids, protein makes sure the muscle keeping your lids is tight, and strong. Using egg whites can help achieve firm and tight skin. Before you apply egg whites, make sure that the skin is clean and dry. You can even wash your face with water, and then pat it dry. Apply a small amount of egg white on your eyelids, and wait until it dries on its own. Wash it off with cool water. The results will come almost instantly. This is an age-old trick. When you experience swelling, which is sort of what sagging eyelids are, ice helps. 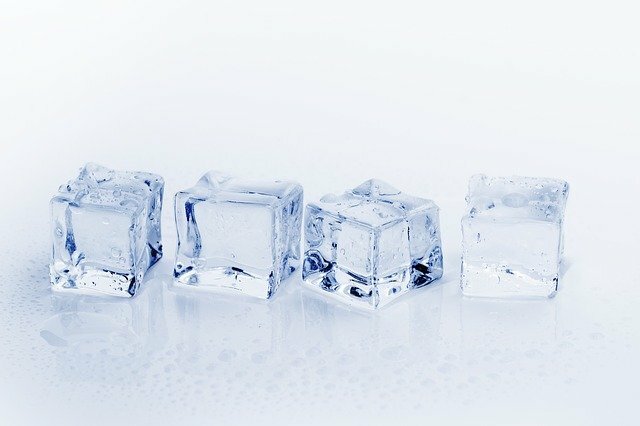 Ice helps constrict blood vessels and reduces the appearance of sagging. All you have to do is apply some ice cubes to the eyelids, and that is that. For those of you who do not have ice cubes at home, try some frozen vegetables. Works like a charm as well. Here is another remedy you’ve probably seen in movies, if nothing more. 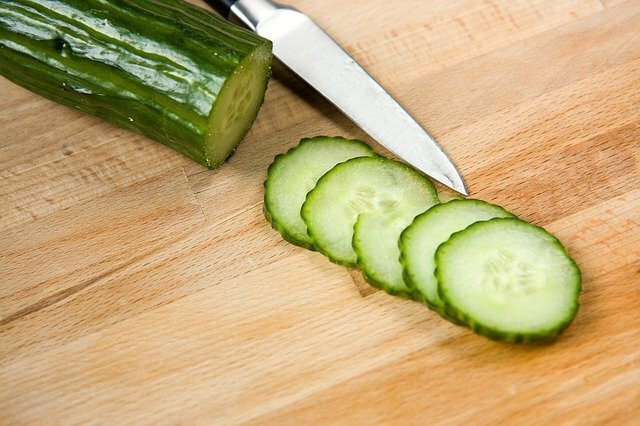 Cucumbers are a well-known remedy for skin issues. They contain caffeic acid and ascorbic acid, both of which help reduce inflammation and tighten your skin. The simplest way to use cucumber is to put two chilled cucumbers over your eyes. Relax for 15 minutes, and then remove the slices. Make sure you wash your face before and after treatment. Enjoy your glowing skin afterward. 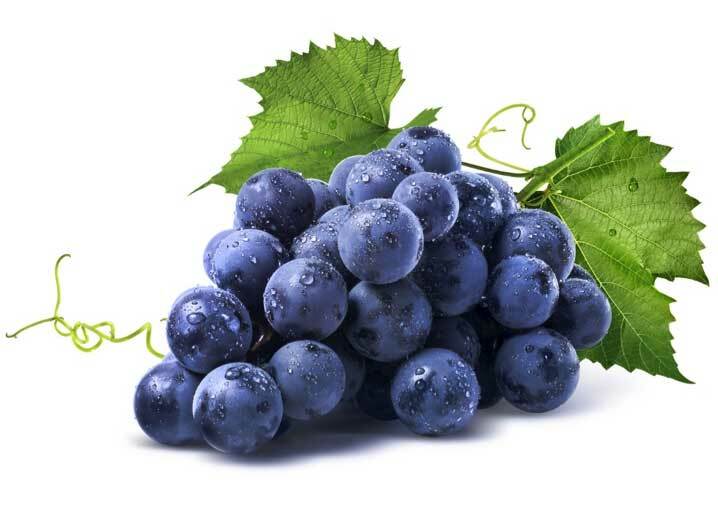 Unlike any other treatment on this list, grapes can help you just by eating them. That is right, there is no need to put grapes on any part of your eyelids. All you have to do is consume grapes on a regular process. They are rich in antioxidants and other nutrients that prevent or slow down the cellular aging process. We are not talking about going to the gym here. Same as going to the gym for your core muscles, there are exercises that help you strengthen the muscles on your eyelids. Here is one simple that works like a charm. Close your eyes, and then place your index fingers across each eyelid. Lift your eyebrows, count to five, and on each count apply gentle pressure to the eyelids. Once you count to five, try to open your eyes with pressure applied. Repeat the exercise 10 times. No matter what you do, sleep is the most important thing to get to prevent, and get rid of sagging eyelids. When you are not sleeping good, stress comes, and your eyelids look tired. And that only increases the sagging and makes it more pronounced. Go to bed at a normal time, and sleep between 6 and 8 hours per day.